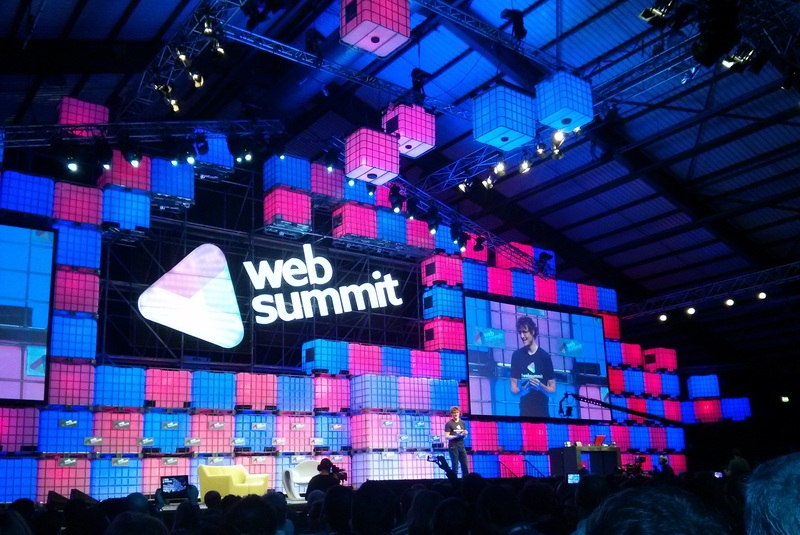 Tomorrow will start in Lisbon what is considered to be the biggest technology event in Europe: the Web Summit! It will gather during this week more than 60.000 people connected to the startup and technology sector from all over the world. Until a couple years ago it was held in Dublin, Ireland, but it has moved last year to Lisbon, and it will be here until 2019 at least. I was walking around lisbon’s downtown today and you can already feel a vibrant atmosphere in the air, with a lot of young people in the street that are here for the event. During the day the event consists on conferences and a huge exhibition area in Parque das Nações, the modern neighborhood of Lisbon. The speakers go from major tech gurus, to politicians, football players, and other famous people that are somehow connected or wanting to be part of the technology revolution. Here you can see the list of speakers that is just amazing. And here the schedule with so many interesting themes. At night, the Web Summit “magic” will continue with the Night Summit, that basically consists of moving into the bars of Bairro Alto and Pink Street area to drink and network there. Also several pub crawls will be organized joining people from similar areas or interests. For Portugal this event is a great way to have great visibility and definitely put Lisbon in the map of the major cities being part of the tech world, along side with cities like San Francisco or Berlin. But let’s be clear: Portugal is not the new Silicon Valey nor the new Berlin. This is Portugal! As this fantastic campaign promoting Portugal’s identity in the digital world makes it very clear. I will be attending Web Summit during this week, to be a part of this revolution! In the meanwhile you can follow the Web Summit’s twitter here.